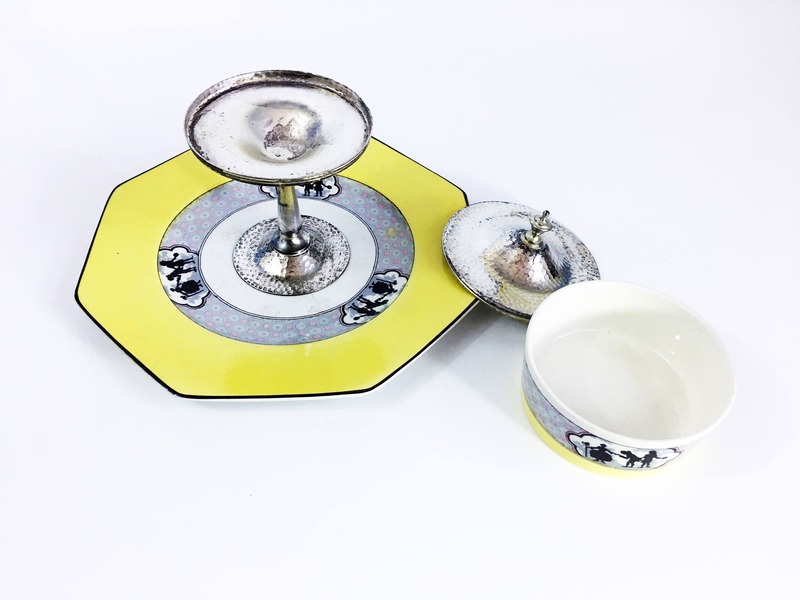 Cute three piece compote that has an octagonal china plate base, a matching round china cup, a silver plate or metal base/holder for the cup and a metal or silver plate lid. The lid has a distinctive finial top or knob. 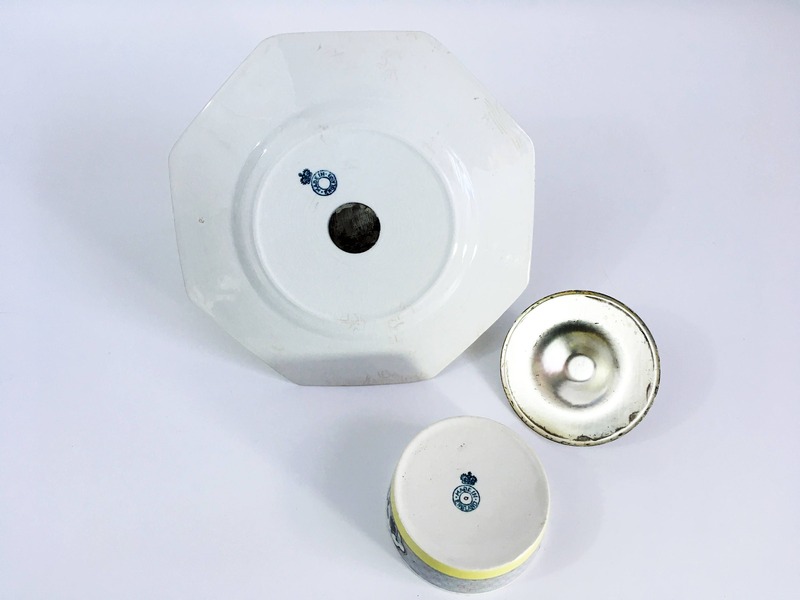 The silver tone metal (or silver plate) pedestal section is attached to and is part of the china plate base. 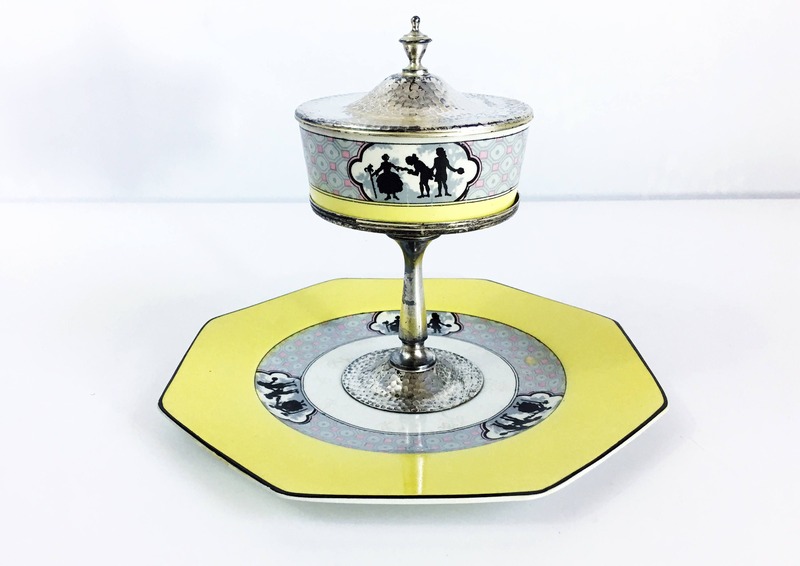 A very unusual little compote that has a green hallmark on the bottom of the plate and on the bottom of the serving cup section. 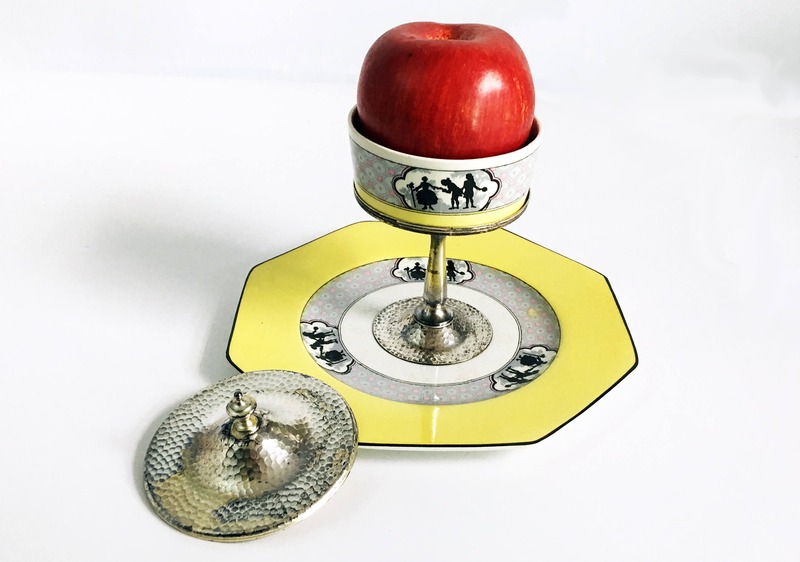 The base plate has 8 sides, while the cup is round. The silver metal sections have a textured/hammered finish. 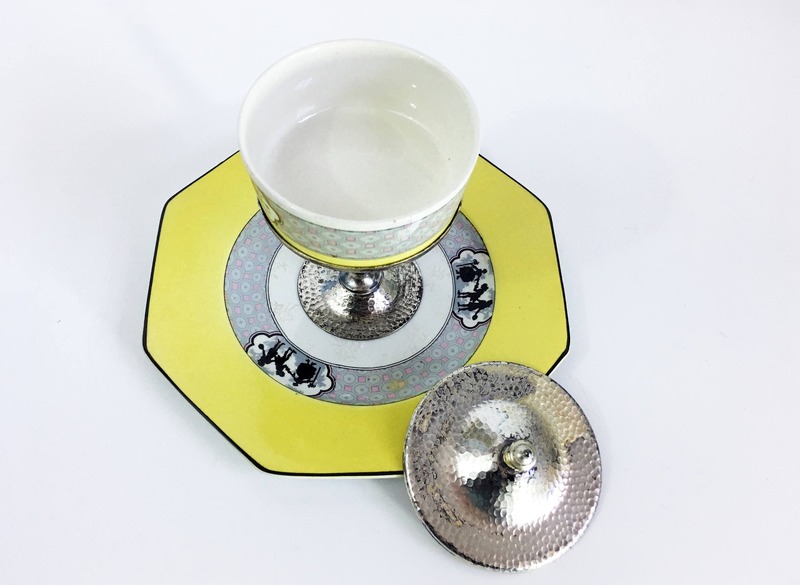 The china pattern features a yellow band on the outer portion of the plate and the bottom of the cup. The center section has small pink squares and blue rounds as a background. There are three places where you find a grouping of a Victorian lady and two gentlemen in black on the plate. They are inside a cloud shape. This pattern appears twice on the cup section. Measures 6" high to the top of the knob on the lid when in place. The plate bottom has an 8" diameter. The cup section has a 3 1/2" diameter. In nice antique or vintage condition with no chips or cracks. Some crazing on the bottom. Some patina on the metal or silver sections. Simply adorable!